It is hard to let go of something you’ve worked on for such a long time, but such is life. After a rather successful launch of Realm of the Mad God on Steam and Kongregate, our partners at Wild Shadow Studios decided that the best course of action was to sell the game to a larger operator, and we agreed to sell our stake alongside them. Kabam will be operating the game from here on out and Willem Rosenthal, who has been designing the new dungeons and loot in RotMG for several months now, will stay on board to guide the project going forward. RotMG will always be a special game for David and I. Alex Carobus is one of the most talented programmers we’ve ever had the pleasure to work with, and the game itself pushed the boundaries of what an MMO could be. 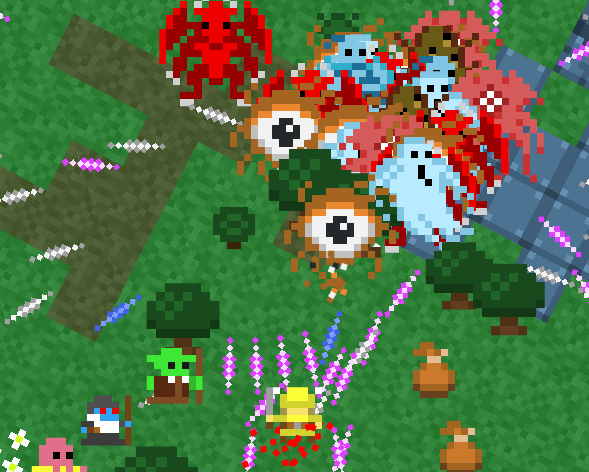 When we started out, RotMG had the bare bones of a multiplayer bullet hell shooter. The foundations of the game were fascinating: coop only, permadeath, procedurally generated worlds, and retro 8-bit art. It had such promise, but it was on track to end up as just another interesting game jam prototype. Over the course of 2+ years, we worked with Alex to turn RotMG into a full-fledged MMO with more meaningful cooperation, a trading system, guilds, a compelling advancement system and community full of passionate players. We measured fun, retention and monetization and steadily increased all of them. At this point, millions of people have played a game that at first glance appears to be a niche hobby project. I'm particularly proud of how monetization turned out in RotMG. The game is completely free-to-play, but it is not a pay-to-win game. Skill matters (much more so than in many other games) and the items we offer for sale for hard currency never imbalance the game. 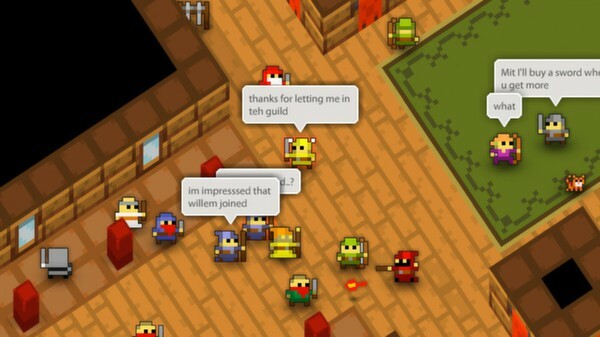 In fact, some purchases (such as dungeon keys) are highly social purchases that can benefit free players as much as they do the original buyer. We wish we could have continued to grow RotMG alongside you, but we know we’re leaving you in good hands. In the meantime, we’re going to keep cranking away on a couple of new online games that we’ve been quietly developing for the past year or so. We can’t wait to share 'em with you! -'Chedd' and 'SpryFox' signing off from Realm of the Mad God. I have to say, I love all the MMO innovations RotMG introduced. I am constantly trying to think of how to put my own ideas into a "micro-MMO" that draws inspiration from this. I found it very interesting to see Rotmg from a business aspect. I wanted to mention my opinion as to why Effusions failed, Effusions would have been successful during public loots, but because everyone is in a sense "competing" against each other now, they are selfish. I will miss you guys a lot, and am not sure what I will do with the new rotmg, You've always had our support. Just wanted to let you know. Will miss you guys sooooo much. amulets and stat pots. Rip old rotmg.